Should I Invest In Bitcoin And What Actually Is Bitcoin? In my opinion, bitcoin is the best investment around. Bitcoin is a peer-to-peer, trustless system. We no longer trust the financial institutions to control our money. Bitcoin allows us, to take control of our money. Below, we’ll explore these steps a bit further. Ask 100 people the question above and you will probably get 100 different answers. Worst of all, most of the answers will come from people who have no idea what they are talking about and who have no real experience with bitcoin. However, in my opinion, bitcoin is the only product in the world, (understand why later in this page) that has the capacity to get you out of debt and create enough income for you, so that you can stop work and go on holiday for 6 months all within 1 year! That is a very bold statement to make, and on what authority do I make it? Want To Know 5 Powerful Ways You Can Turn Your Computer Into A Cryptocurrency Trading Machine That Will Make You Profit From The Cryptocurrency Revolution TODAY! By now, you have probably heard of bitcoin. It’s pretty big these days. However, you may not really know what it is. In fact, I totally understand how you are maybe confused, because as of February 2017, I didn’t really understand it either. And then a friend of mine spent about 1 hour explaining to me what it was. He explained the potential behind it and on 28th Feb 2017, I bought my very 1st bit of bitcoin. I invested just $100. So you don’t need a lot to get going. Not only had the price gone up by almost 20 times, over the next few months, I had bought more ‘bits’ and I had a pretty good stock and a pretty good value. I am also presently on a 6 month holiday in Thailand with my girlfriend Jane. First hand experience beats indirect hearsay any day! What I can do is explain what bitcoin is and what capabilities it has as well as the risks and then let you decide for yourself. It’s decentralized – This means there is no one place that controls it. In fact, the users control it. A bank is not like that. It’s centralized and the bank controls the money, not the users. It’s peer-to-peer – A network of computers in which each part of the network acts as a server for all the others. The network is secure. The transfer of files and information is transparent. It’s virtual, it’s online – I cannot actually give you a gold bitcoin. Bitcoin is not paper or metal. It is an online currency. This is nothing new. Credit cards are a version of online currency. In fact, you may not know, but about 97% of all money does not exist. It’s actually online. The other 3% is the physical cash we have in our wallets. It’s transparent – Every transaction is available on a public ledger. The Blockchain is the ledger. Every transaction is verified by bitcoin miners. It is non-reversable. It is very secure. It’s volatile – Right now, bitcoin is a volatile product. Last February 2017, it was worth about $1000 a coin, then it went up to almost $20,000 a coin in December 2017 and right now in July of 2018, it’s worth about $6700 a coin. The volatility is what gives us the chance to make money. But with that also comes risk. But we like to think it is a calculated risk. Satoshi Nakomoto – Satoshi holds credit of the design and invention of bitcoin. He presented the concept here in this document. However, the real identity of Satoshi is actually not known. He disappeared to keep his identity a secret. Probably a very smart move. In fact, a satoshi is the smallest amount of bitcoin, representing 0.00000001 bitcoins, one hundred millionth of a bitcoin. You do not need to buy a whole bitcoin, you can buy tiny little ‘bits’ to get going. The problem was that the banks, financial houses and governments have basically bankrupted the financial system with their fractional reserve system. They just keep creating more and more money, which just keeps devaluing money. Have you noticed, you keep working harder and your money goes nowhere. The banking system is broken. Only 21 million bicoins can be made in total. You cannot ever make more. Therefore you cannot devalue it, by creating more. For the most part, this has the opposite effect in general. The price of bitcoin goes up, more people want it, but because there is a limited supply, it gets harder to find…. So the price goes up…. And when the price of bitcoin goes up, more people want it, but because there is a limited supply, it gets harder to find…. And very often you see the very financial houses that gave the bad news, buying the coin at the new low price. Do you see the trap? And then the price goes up and they make a load of money! Crypto and Bitcoin is very volatile and not for those who demand guarantees and fixed security. But with the risk, can come very high returns. Indeed millionaires have been made in less than a year. I believe that the very issue of investing is the within the definition. Everyone investing has the ‘expectation of achieving a profit‘ and thereby lies the problem. No one expects to lose! But what happens is when they do not get a profit, their expectations are not met, and then they cry bloody murder! And swear blind you made a promise to them! So if you want a guarantee, and if you expect to make a return, you are probably not a good investor in bitcoin. We all want a return, but expecting it, is the problem. So bitcoin and cryptocurrency is a very volatile product right now. One minute value is up, then next it’s down. I see a lot of people dumping the coins because, ‘they lost so much’ but in reality they only lost when they sold. If ‘fear of loss’ drives you because the price has dropped, bitcoin is probably not your thing. Better to get your 0.5% per annum in the bank! So Should I Invest In Bitcoin – I Totally Understand The Risk! As I said before, I am not a financial advisor, so when you ask me “should I invest in bitcoin” I cannot give you advice or a definite YES! Money is at risk. you may lose it. I believe bitcoin is a movement aimed at creating freedom for man. Freedom from the banking system and the Federal Reserve. Satoshi Nakamoto, or a team of people working under that name, shared the bitcoin concept on 3rd Jan 2009 in a white-paper that explained how they had created a system that would allow people to transfer money directly to each other. The system is online and is anonymous. It was also out of government and financial house control. It is peer-to-peer. Bitcoin, therefore, was created to extricate mankind from the financial grip of the banks and the governments that had been imposed on us for so long. The price of bitcoin was the last thing on the minds of the early bitcoin movement. What they wanted was financial freedom and this thought movement spread through communities quickly. At last we had a way of separating money from the state! With that in mind, do you understand why the banking system and governments globally put out so much negative hype about bitcoin. Clearly, it undermines their power over us and they do NOT want us to have financial power and freedom. Or in other words TAKE OUR FREEDOM AWAY! So while, you have the possibility to make money with an investment in bitcoin, the real investment is financial freedom and that, in my opinion, is something worth investing in. The video called the Declaration Of Bitcoin’s Independence, explains this concept more. Is a tool that takes financial control over mankind away from governments and gives us freedom, worth investing in? I leave you to answer that question! About The Author: Tim Bennett, The #1 Authority in Bitcoin Training – I help entrepreneurs profit with bitcoin. I think bitcoin is the most important tool that has ever been created in my life. I have been on a 13-year quest to find a tool to give us freedom of control over money. Bitcoin is it! I am not a financial advisor. all content on this website is provided for informational purposes only. The information does not constitute investment advice, financial advice or any sort of advice at all. NONE of this website’s content is advice of any kind and you should not treat is as such. We do not recommend that you invest. We do not advise you to buy, sell, trade or hold (HODL) cryptocurrency, altcoins, bitcoins, tokens or any form of cryptocurrency. We are making no offers to sell, buy, trade or hold any investment or cryptocurrency product. Nothing on this website should be taken as an offer. Conduct your own due diligence and consult with financial advisors, business advisors and any other kind of professional that you deem fit, before making any investment decisions. By investing, joining any programs or services or taking any action on any information on this website, you accept full responsibility and waive Timothy Bennett or any of his business associates free from responsibility, claim, lien, or harm of any kind. Much of what we share is experiential. It is our experience. We cannot guarantee your experience. We have taken every step to ensure that the information given is correct. We will not be held responsible for any missing or wrong information. You understand that you are using any and all information available here AT YOUR OWN RISK. We discuss bitcoin and cryptocurrencies on this website. They are highly speculative and volatile. Prices can and do change incredibly fast and it is common to see massive high and low swings. Massive losses can be incurred. You use this website accepting all losses as your responsibility. NEVER invest any more than you can afford to lose. Minimize your losses. DO NOT invest all your money in bitcoin or cryptocurrencies. Do not borrow money to invest. Do not sell valuable items to invest. Do not use pension funds, school funds or any other fund to invest. Only invest money which you can afford to lose. It is possible, that bitcoin and cryptocurrency is not for you. Consult a fully qualified professional financial advisor before investing. ← What Is CryptoCurrency – Is This Really The Future Of Money? Great explanation Tim and great videos. Freedom! Firstly, thank you for visiting the site, I really appreciate it. Secondly, thank you for leaving the very 1st comment on this new site! that’s awesome! I hope you found some good information here. I tried to move away from the conventional thoughts of bitcoin and delved deeper into what bitcoin was really about. It seems that whilst bitcoin does indeed now have the ability to create money for us, the original intent was to disrupt the financial system which has enslaved so many of us for so long. I really look forward to the day that bitcoin and all the cryptocurrencies that sprang from it, bring us the freedoms that we have so long been denied! It’s time, wouldn’t you agree? Thank you Jack and onward to FREEDOM! I sold all my bitcoin at $17,000. I now invest in Steem on the Steemit social media platform that runs on the Blockchain and the Steem crypto. I really believe in the Steemit platform and I like that I can get 15-18% a year from delegating my Steem Power to the upvoting bots. Steem seems to track with bitcoin, so I’m all for bitcoin going to the moon, but the concept of steemit using Steem crypto to operate a social media platform where I get paid when someone upvotes my posts seems more useful to me than bitcoin these days. Hi Alexander and thank you for visiting the site and leaving a comment. I appreciate you! How awesome for you that you were able to sell before the January drop. 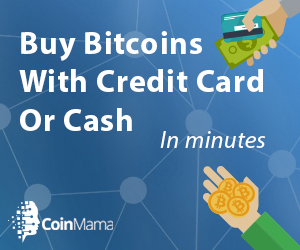 It would be cool to know how much you bought the bitcoin for! Steem is something that I have not used much although I have a colleague who loves it. I do think that bitcoin is going to go to the moon again this November and December as the stock markets seem to be heading for a downturn. I also see all the other coins following bitcoin. Thank you for connecting with us here and look forward to more comments from you in the future about your progress. If you would like to take a look at more ways to grow your bitcoin, I have a small giveaway called: 5 Powerful ways To Turn Your Computer Into A Crypto Currency Trading Machine. It is a free download. Thanks once again and good success with your Steem!